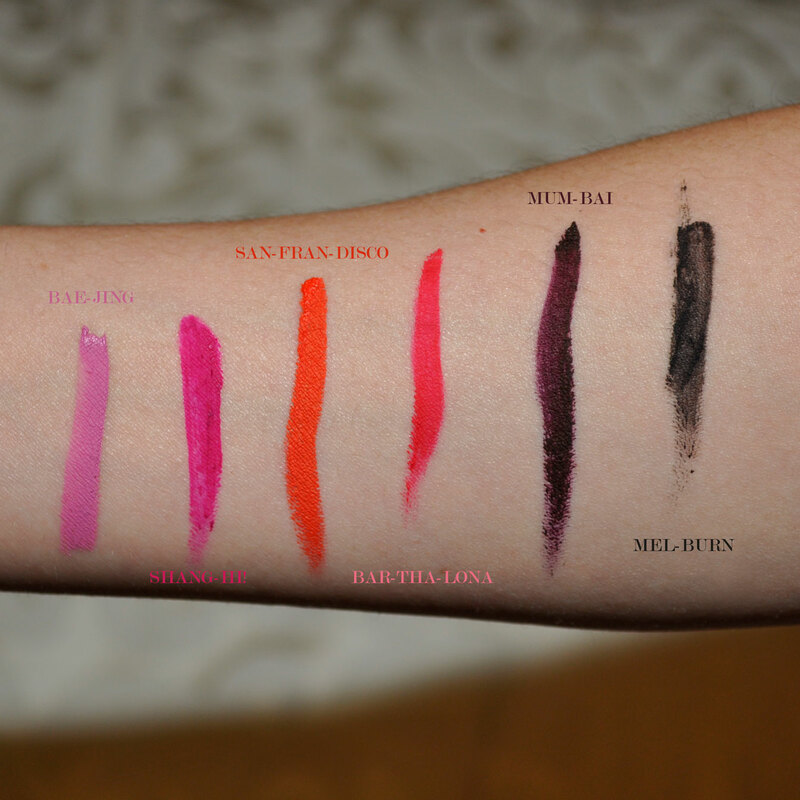 I have been fangirling over these matte lip creams for a while. I posted a review on Mel-Burn and because it was so good, I went back to the shop the next day and bought a few more shades. The range of colours are stunning and they are so affordable at $10.49 AUD each. 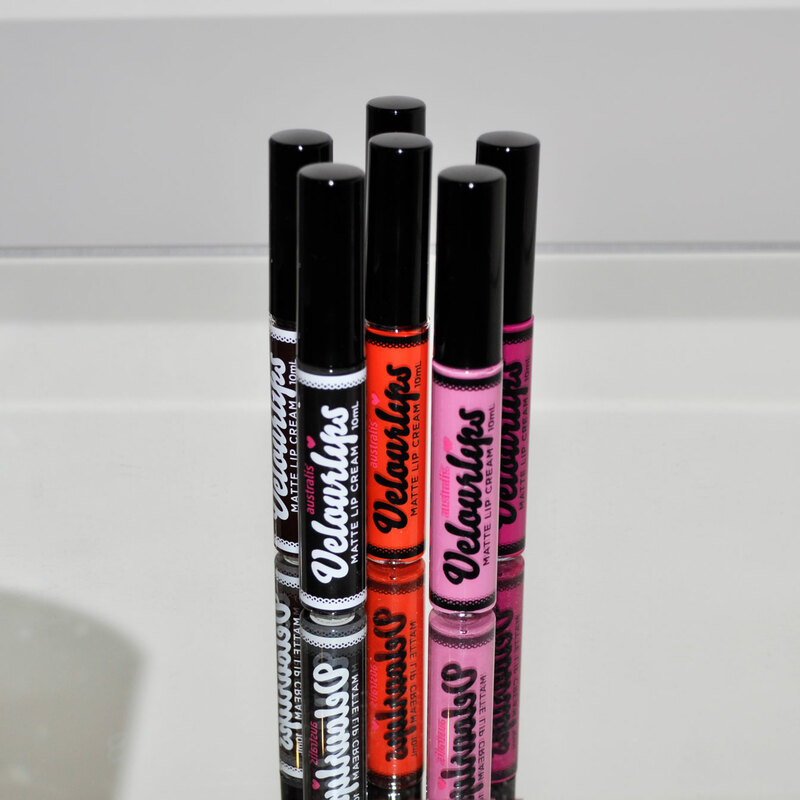 Australis Velourlips is a city inspired lip cream collection. They are vegan friendly and are not tested on animals. That gets my tick of approval 🙂 I wanted to swatch them to show you just how wonderful they are. The doe foot wand applicator makes it really easy to apply on your lips which makes it perfect for this liquid lipstick. The end result is a velvety, matte finish. It smells divine and is very long lasting. 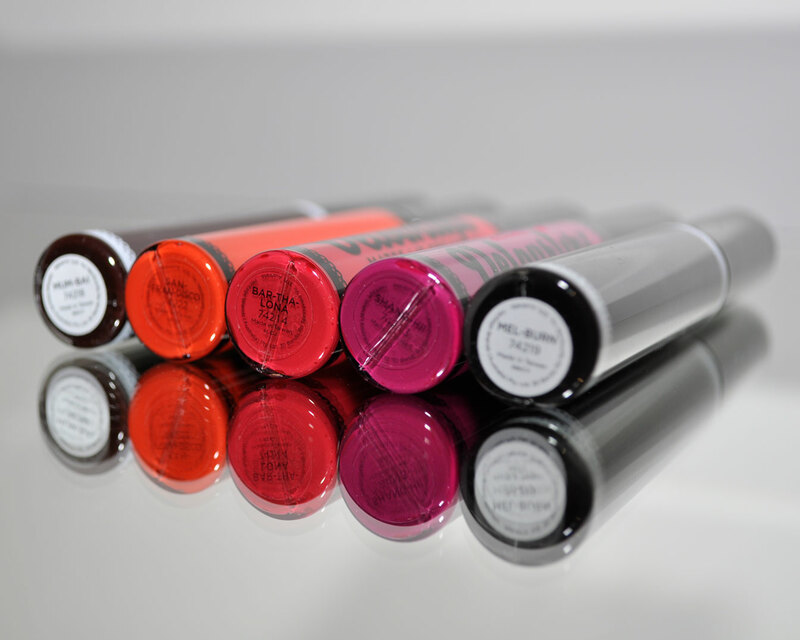 As these babies are long lasting, it helps to apply a lip balm 5 minutes before using your lip cream. Dont take too long putting it on as it dries really quickly. Once they set, they won’t budge. If you’re not used to the applicator that comes in the tube, perhaps use a lip brush for more precise application. Love San Fran Disco and Shang Hi! P.